Curated by Umbrella Studio, Compact Prints 2012 showcases the works of North Queensland’s printmaking talent, alongside national and international artists from twenty-two countries. Framed by mounted CD cases, the works are etched, scratched, watermarked, stamped, rolled, blocked-in and engraved, each carrying a story of its own. Displaying a variety of traditional and digital works including relief, intaglio, serigraph and new media printmaking, Compact Prints 2012 is a collection of stunning work from our global community of printmakers. 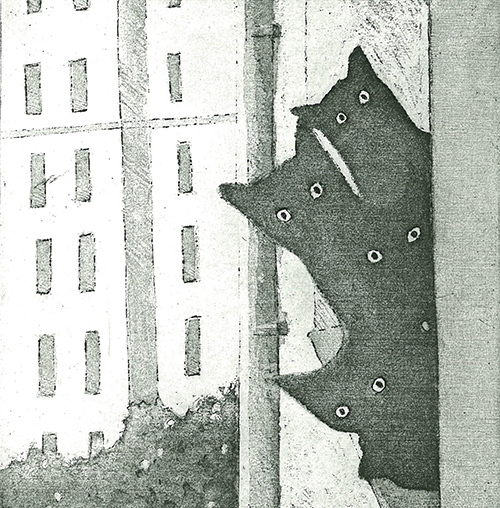 Images: Tanya Childs, Curiosity (detail) 2012, etching. Courtesy of the artist.